Summer Savvy Succulents & A Jam Recipe, Too. 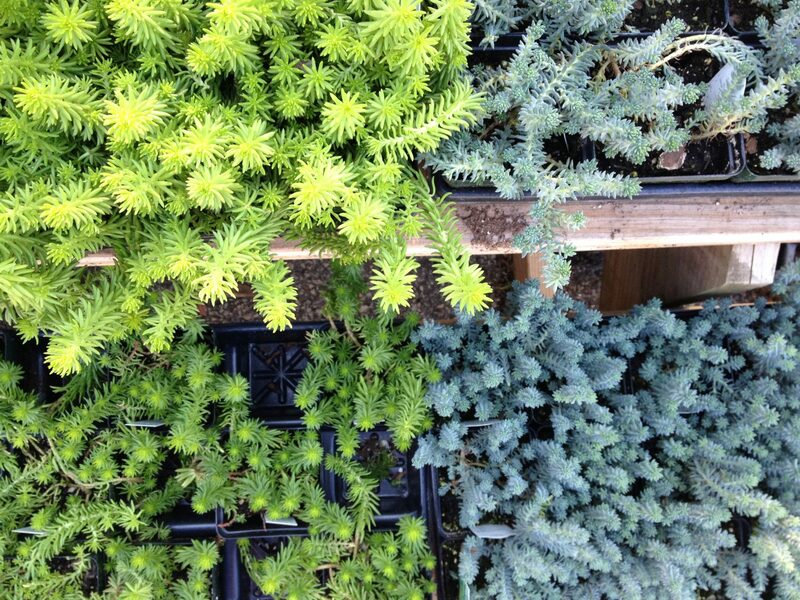 With the first day of summer starting this week, it’s the season of succulents. Nan Reinert’s background in operating Chubby Pickle Farm in Robeson Township, Berks County, means she is plenty versed in succulents. Through the farm, which is her backyard, she raises 85% of the food she eats, growing everything within a small space, and using a variety of plants and planting methods. 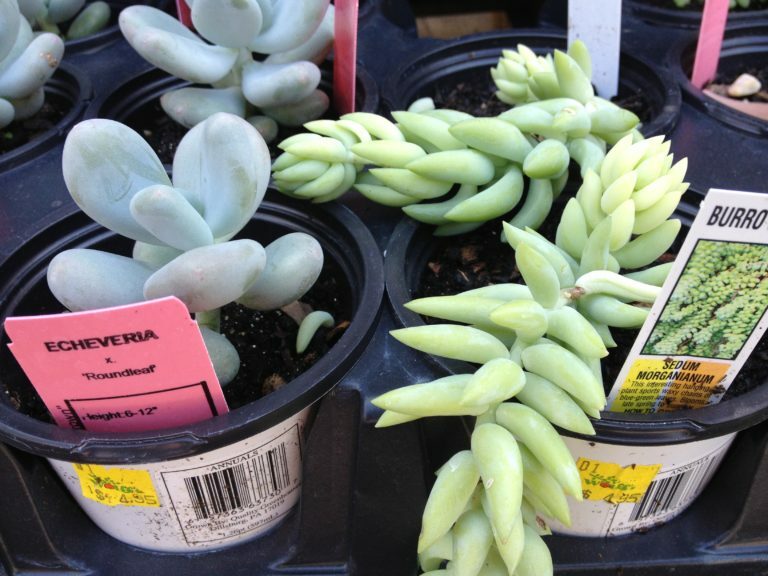 This holds true for succulents which are houseplants, not just seasonal outdoor plants. Hens and Chicks, Aloe, Yucca, Portulaca and Sedum are some succulents Reinert mentioned. With Prickly Pear Cactus, which has certain varieties able to survive in Zone 6 in Pennsylvania, Reinert even has a recipe for jam. But more on that later. 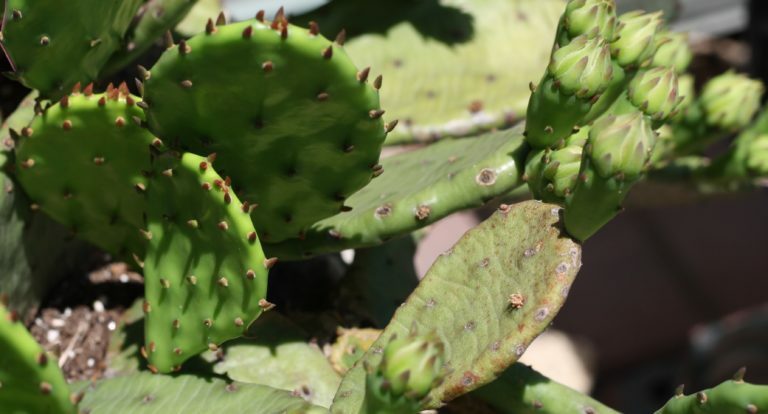 As the name of the Prickly Pear Cactus implies, it’s easy to grow and doesn’t need much care. Yet it does need your attention because if you get too close to it with bare fingers, toes or any other part of your body, you may be sorry. A Wolff’s Apple House customer named Julie Russell has her own cautionary tale about the cactus. A home Russell’s family purchased in the past had Prickly Pear Cactus planted near the pool, added to the landscape by the previous owners. Her family soon learned about the plant’s spikes. And her daughters learned about the spikes the hard way while taking breaks from swimming. An easy lesson for an outsider: plant Prickly Pear Cactus anywhere but near a pool or places where kids play. 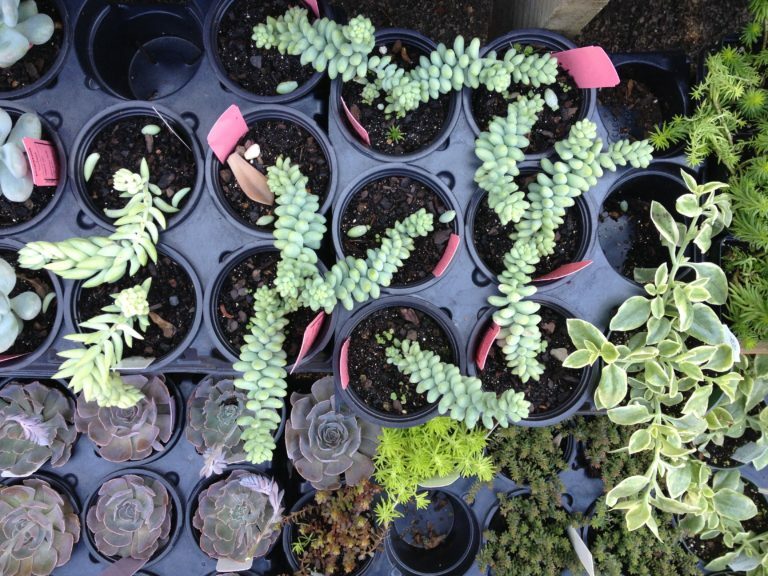 One kind of succulent with seemingly countless varieties and thankfully no spikes is Sedum. 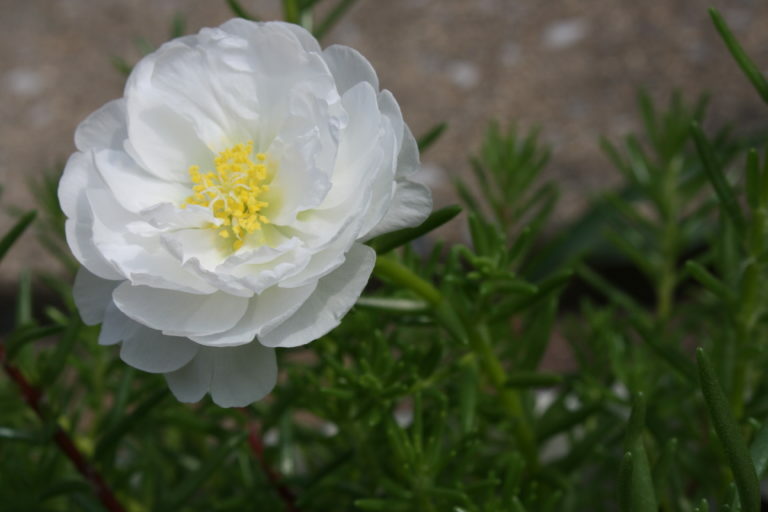 One kind of succulent, sold as annuals in market packs at Wolff’s Apple House, often tends to re-seed and springs up soft petals of poignant little blooms: Portulaca. It also has green flesh like little lizard legs, which is a fun texture to touch, since you get the feel without having to touch an actual lizard, in case that makes you a tad bit squirmy. And where the succulents want their roots is an important thought. But can you kill a succulent? That’s a good question. Succulents are also a win-win for fairy gardens. And here, as promised, is Reinert’s jam recipe from Prickly Pear Cactus. To skin the fruit, place them on a sheet in the oven at about 400 degrees Fahrenheit for about 15 to 20 minutes; you will see the skins split and blacken a little. Remove from the oven, quench in cold water and peel. Heat Prickly Pear fruit and juice, lemon juice and sugar in a large heavy-bottomed pot. Bring to a rolling boil. Cook for 10 minutes, stirring constantly. Sprinkle pectin over the fruit mixture, continuing to stir until dissolved. Bring to a rapid boil and cook for 3 minutes, stirring constantly. The jam thickens as it cools. Ladle into sterilized jars, leaving ¼" head space. Wipe rims thoroughly with a sterile cloth, place the sterile tops on and tighten caps to finger tightness. Place jars in boiling water bath. Bring to a boil and start your timer. Boil for 15 minutes. Remove jars from canner, and place on a clean dry towel.